This year’s Harman Scholars are Sina Hafezi and David Moffat. Mr. Hafezi receives a renewal grant for his PhD studies in Speech and Audio Processing from the Electronic and Electrical Engineering Department at Imperial College London. He has undergraduate and MS degrees from Queen Mary University. David Moffat is a PhD candidate in Computer Science at Queen Mary University of London. His previous degrees are a BSc in Artificial Intelligence and Computer Science from the University of Edinburg, and an MSc in Digital Music Processing from Queen Mary. Next year he is the International Chair for the Europe and International Regions of the Student Delegate Assembly. Harman International Industries has committed to offering two scholarships annually to encourage excellence in audio. The Bruce Swedien Scholarship is a renewal grant awarded to Natasha Branch. Natasha will pursue an MFA in Recording Arts and Technologies from MTSU. She has a BM in Composition from Cameron University. 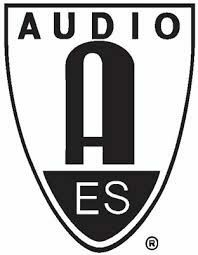 This scholarship aids young recording engineers who believe in putting “Music First!” to quote Swedien’s mantra. Spencer Shafter receives a renewal grant and is this year’s Larry Estrin Scholarship recipient. Spencer will earn an MM in Music Technology and Performing Arts at NYU; he also holds a BM in Music Technology from the Steinhardt School at NYU. Larry Estrin was Director and CEO of Filmways Audio Group, founder of Best Audio and responsible for the Production of live production in 50 countries (Academy Awards, GRAMMYs, Olympics, etc.). This grant is offered to students with a demonstrated commitment to Audio Engineering in the Broadcast Industry. Advancing Audio -Tom Kite Scholarship is awarded to Ana Djordjevic, a PhD candidate in EE from Nis, Serbia; her previous degrees are also from Nis. Ana has authored and presented ten papers at national and international conferences and spent one year as an exchange student at Norwegian University of Science and Technologies. She also received acceptance to an R&D Team at Cisco, Norway.